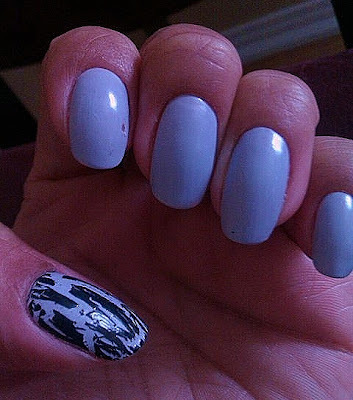 When crackle first came out I was intrigued but not sure if I like the deconstructed look. Then I started seeing all kinds of combos and decided to try some for myself. As with most new nail polish fads I chose to experiment with the ring finger or thumb as an accent. 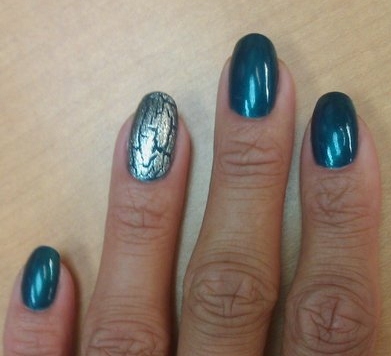 I have many more manis to come with crackle since I saw how cool they can look in triangles and other fun shapes. I called this Crackin' Up as a pun on the crackle effect. Thoughts? Feelings? Concerns? 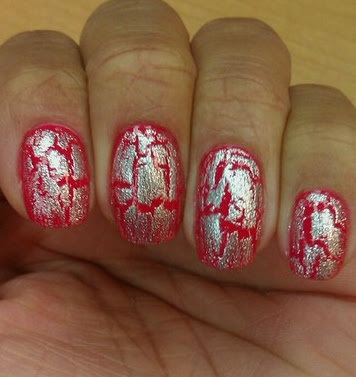 Revlon "Cloud" with SH "Ink Splatter"
Ulta "Capri Coral" with SH "Fractured Foil"